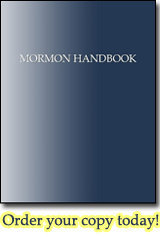 The Inspired Version, also called the Joseph Smith Translation (JST), is Joseph Smith's "translation" of the Bible, or better, his editing and rewriting of the King James Version. Joseph started the project in June, 1830 and finished July 2, 1833. He prepared a manuscript for publication but it was never published before his death. The LDS church has only canonized excerpts of it, namely Genesis (Book of Moses) and Matthew (Joseph Smith—Matthew). You can view the entire Inspired Version online here.